I have a map of a world created in a novel. It's currently a JPEG. I imported it into QGIS as a raster layer. Now I want to add points to it and some data so that I can color code them etc. I know how to do all this in ArcGIS but my license will expire soon so I'm trying to learn how to redo my map in QGIS. What do I do in QGIS to be able to add points to the map? In ArcGIS I would save it as a shapefile and then use the "Editor" function. I can't seem to find the parallel function in QGIS. So I think this is a 2 step process: 1. Convert the raster image into a shapefile, and 2. open an editor that will allow me to draw points on the map. 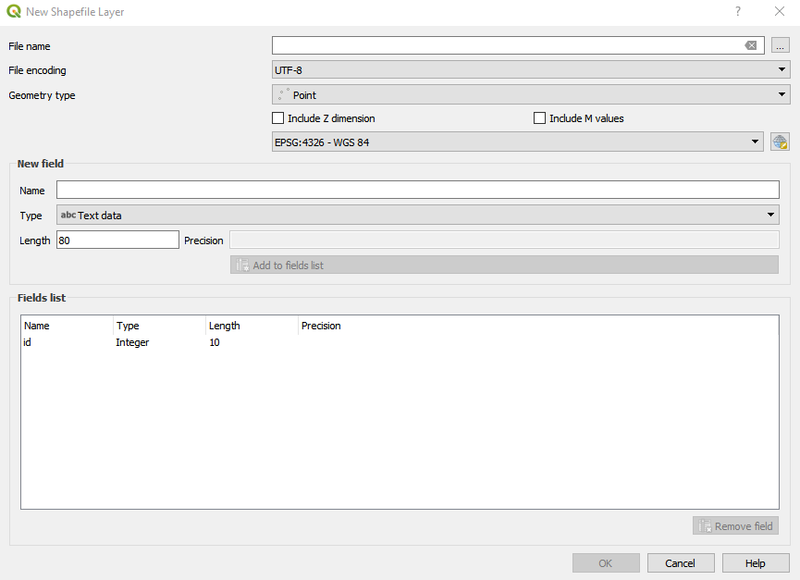 In QGIS you go to Layer > Create Layer > New Shapefile Layer... From there a dialogue opens where you can specify the type and columns of the new shapefile. 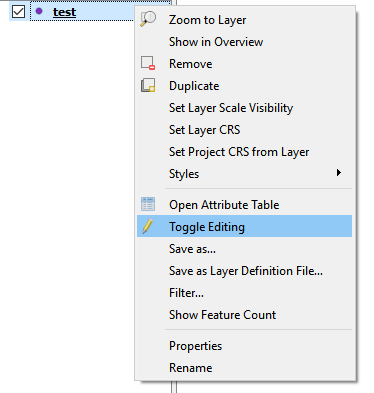 When you right-click on the newly created Layer you can select "Toggle Editing". 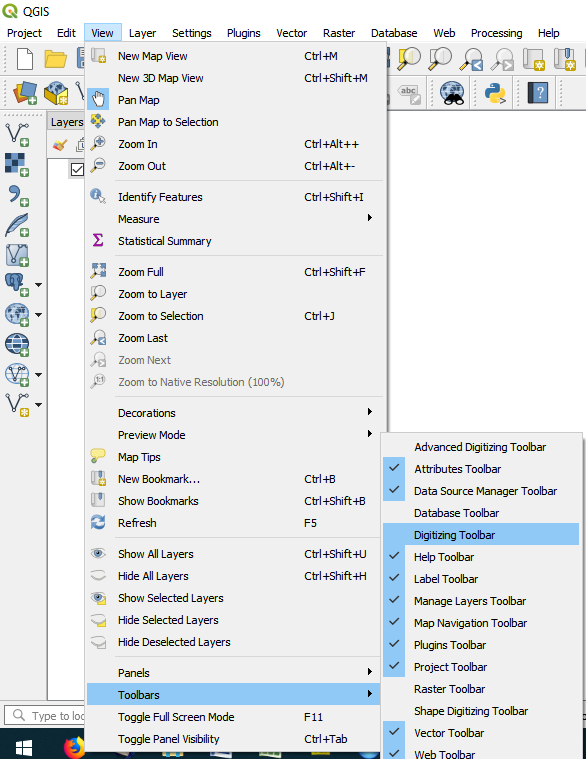 To add points to the Layer you need to add the "Digitizing Toolbar" in View > Toolbars > Digitizing Toolbar. The 4th button lets you "Add Point Feature". Not the answer you're looking for? Browse other questions tagged qgis shapefile editing or ask your own question. Converting classified raster map back into vector classes using QGIS? How to make a multi color map with one shapefile layer in QGIS? Export a shapefile attribute for points contained in that file for very large datasets with QGIS? Clipping ArcGIS MapServer Map Service using QGIS?